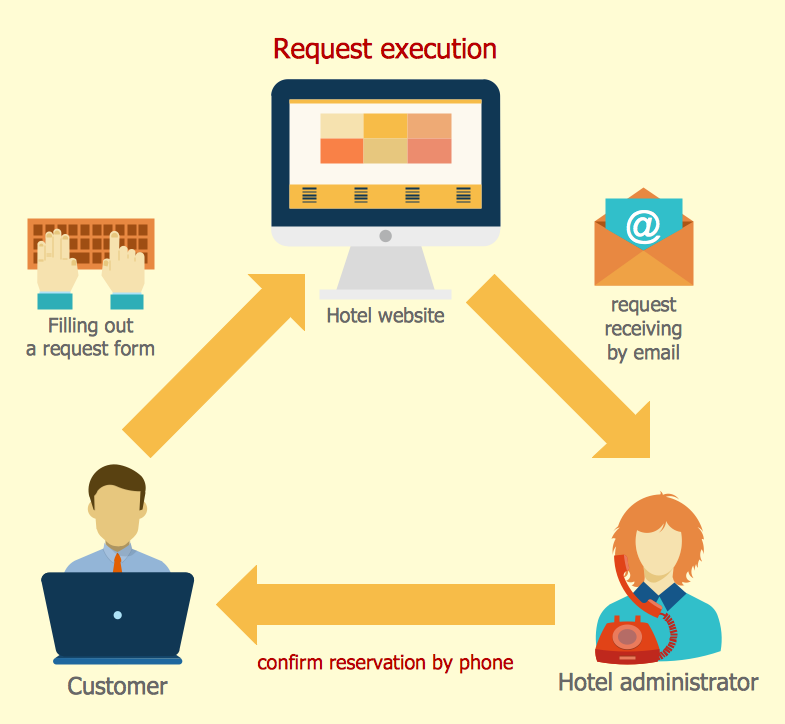 It is effective to use professional software for the sales process management. ConceptDraw DIAGRAM diagramming and vector drawing software extended with Sales Flowcharts solution from the Marketing area of ConceptDraw Solution Park is the best choice. 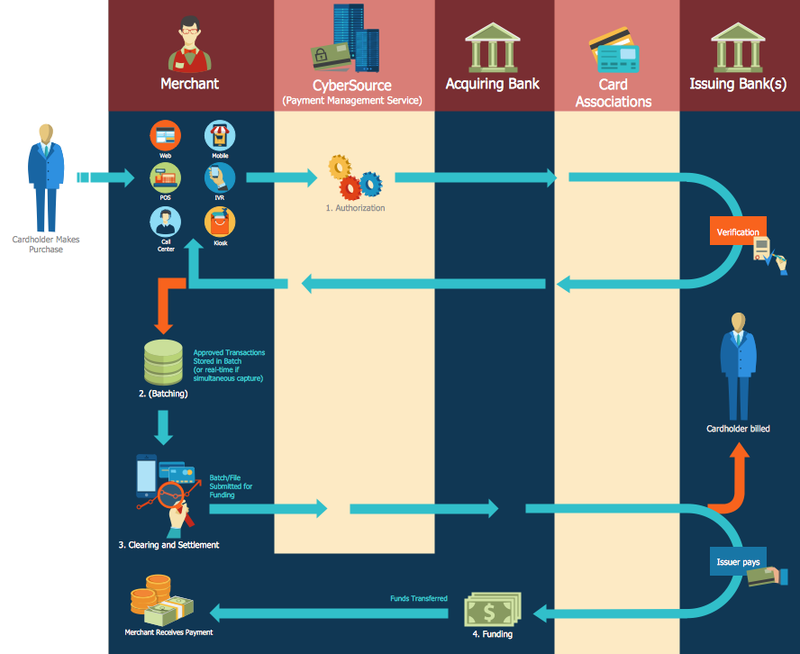 It is impossible to imagine the sales process management without different informative graphics, maps, diagrams. They are convenient for representing and analyzing the sales process, the sales results, and for making management decisions. 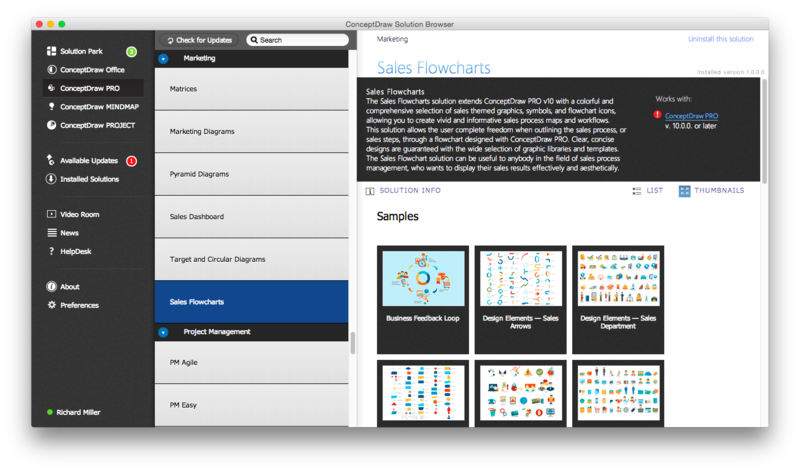 If you dream to design Sales Process Maps quick and easy, the Sales Flowcharts Solution for ConceptDraw DIAGRAM software is exactly what you need. You can easy design your Sales Process Map or Flowchart in the new document using the predesigned vector shapes from the 6 libraries of the Sales Flowcharts Solution, or use already ready samples as the base or as the source of inspiration. The samples you see on this page were created in ConceptDraw DIAGRAM using the Sales Flowcharts Solution for ConceptDraw DIAGRAM They are the good examples of effective applying the ConceptDraw DIAGRAM software for the sales process management. An experienced user spent 10-15 minutes creating each of these samples. Use the Sales Flowcharts Solution for ConceptDraw DIAGRAM software to create your own Sales Flowcharts of any complexity quick, easy and effective.